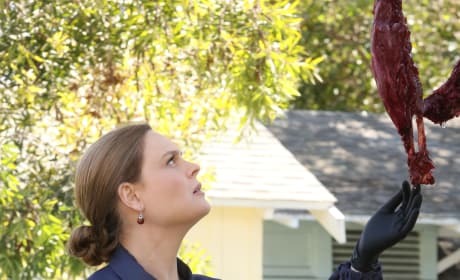 After dealing with an upsetting case that has hit close to home, Booth and Brennan talk with Angela and Hodgins and come to an important decision in this season finale. 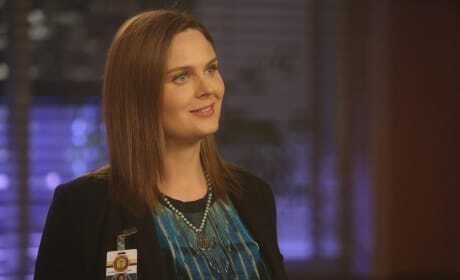 After everything that Brennan and Booth have been through lately, with their lives being in danger and their own struggles in their relationship, it's nice to see Brennan looking so happy in this scene. 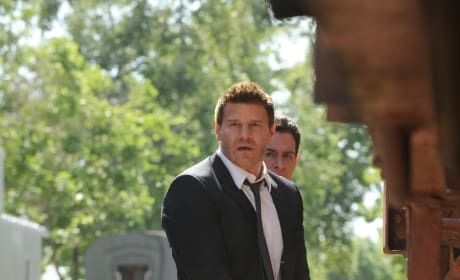 Booth and Aubrey question a suspect as they continue to work hard to find the killer. There's also added pressure for both of them on this case. 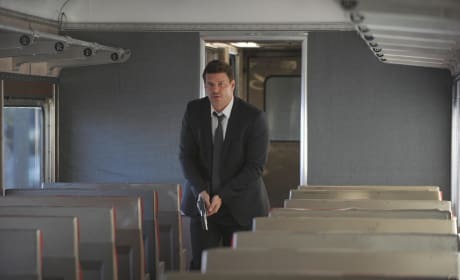 Booth jumps on a moving train to chase after a suspect on a case that hits a little too close to home. 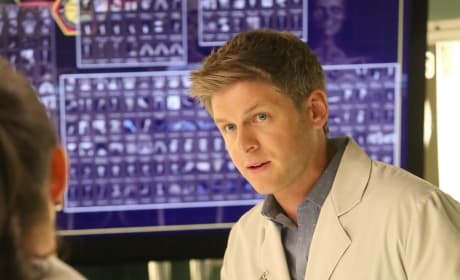 Is Booth in danger yet again? You didn't expect a season finale without a good chase scene, did you? Booth and Aubrey chase a suspect on train tracks, and Aubrey finds himself in danger. Will Booth be able to save him? Wendell is more than happy to help out with the case this week, and he and Daisy spend extra time examining the remains. We're also happy to see how healthy Wendell is looking these days. This particular case requires extra help, which means we get to see a few favorite squinterns working together. Daisy and Wendell both work with Edison as they examine the remains. 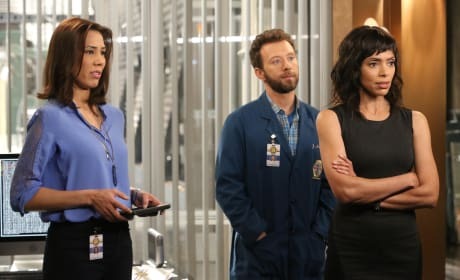 Angela, Hodgins, and Cam find themselves looking back at a prior serial killer case for their investigation, and everyone is a bit on edge. On a case that has taken a surprising turn, Booth and Aubrey head to a pizza parlor to question the employees. Aubrey can't be entirely disappointed that there's pizza around for the investigation. That guy loves to eat! As usual, Dr. Brennan is not phased in the slightest by grotesque remains. But there is something especially intriguing about the way this body is found.